No other statement better sums up the first-ever Hard Scrabbler, a ride that—more than we ever could have imagined—forced its finishers to summon the unrelenting spirit of the sport we so love. Plagued by numbing cold and blustery wind, riders buttoned up and battened down for a long but beautiful winter-time ride redeemed by cloudless skies, awesome vistas, and the camaraderie that comes with suffering and overcoming together. 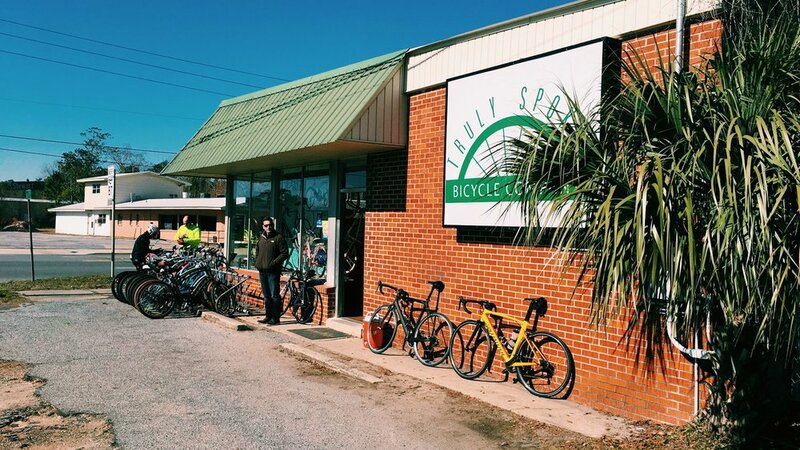 In the early stages of planning this ride, we dreamt of creating something that embodied the fighting spirit of northwest Florida's first settlers: of the hard men who paved Old Red Brick Road, and the tireless women who transformed thickets into gardens. Through grit and gumption, those men and women made Hard Scrabble their home. And so in their honor, we sought to deem a new class of Hard Scrabblers: a cadre of men and women willing to push beyond their limitations for no other reason than to prove to themselves that, with the will to keep on, anything is possible. Saturday, we had the immense privilege of doing just that: celebrating the dash of a tenacious crew of hard-nosed cyclists willing to span borders in search of new horizons. Beau, a member of Team MPPH, cycled twice as far as he ever had before to raise support for MPPH's work helping abused women find secure housing, counseling, and access to vocational training. Bridgid, a pilot-in-training who'd never ridden in an organized cycling event before, spent nearly 5-hours in the saddle refusing to give in to the pain and cold. And Christine, who prefers to avoid hills, celebrated her birthday by fighting her way over the top of dozens of rollers. These stories recount the essence of what it means to be a cyclist—to draw from the well again, and again, and again, until the depths of your resolve break beyond the watershed. And it's for that awesome display of perseverance, that I am humbled to have had the opportunity to plan, promote, and witness the commencement of this annual affair: a pursuit of triumph in the name of charity and the memory of those who overcame before us. Welcoming registrants at Truly Spokin' Bicycle Co.'s Milton location. Registrants getting checked in by Fit For Hope co-founder, Jake Vermillion, and his wife, Hannah. Registrants enjoying some pre-ride snacks courtesy of our generous host, Truly Spokin' Bicycle Co. Team MPPH member and Fit For Hope athlete, Beau Vermillion, getting his number pinned on by his biggest supporter: mom. Fort Walton Beach-native Rachel Sanders and Team Chained Concept itching for the ride to commence. Close-up shot of the vinyl, top-tube cue sheets Fit For Hope had made for this year's ride. Fit For Hope Co-founder, Jake Vermillion, detailing the route before riders set-out for a day of cold-weather riding. Fit For Hope Co-founder, Michael Brucato, shares stories of impact from the charity receiving all proceeds generated by the ride. Riders taking a scattered group shot before setting out. Team MPPH Member and Fit For Hope Athlete, Beau Vermillion, mentally preparing for his longest ever ride, all to raise support for abused women. 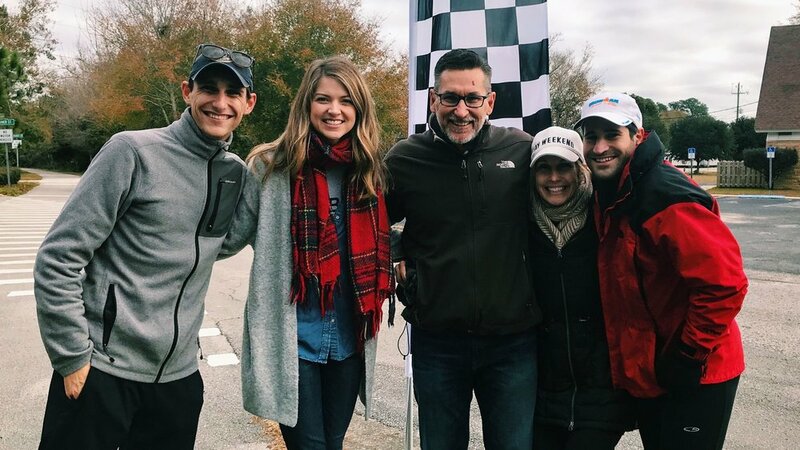 The Fit For Hope volunteer team celebrating at the start line after months of planning and promoting the Emerald Coast's youngest cycling event. Team MPPH Member and Fit For Hope Athlete, Beau Vermillion, celebrating $2,212 raised to place abused women in secure housing, counseling, and job training. Post-ride group shot of our fastest finishers and the first class of official Hard Scrabblers.